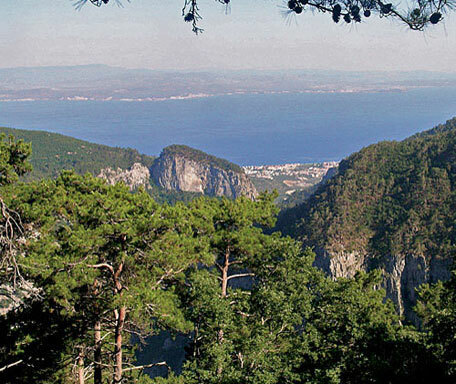 Our destination is Mount Ida, the famous mountain that plays a leading role in countless ancient mythologies. Picture a flower blowing in the wind on a steep mountain slope. Call it daydreaming, call it meditation, but for a moment try to be a tiny, red-stemmed, white wall pepper, a member of the wild thyme family. This little red flower is one of thousands that attract bugs and butterflies to their petals to produce entire fields of flower. 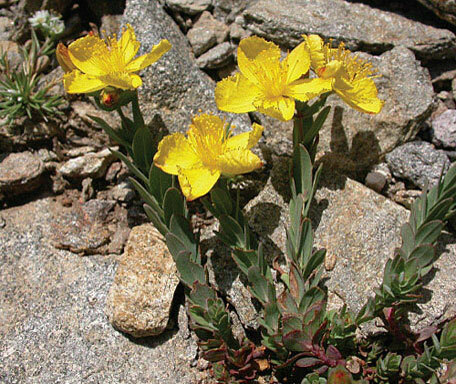 A rare bloom mentioned in history-shaping legends and found hundreds of years later, only on Mt. Ida’s slope. Ever since the time of Theophrastus of Athens, who is regarded as the father of botany, Kazdaği has been known for its therapeutic flora. 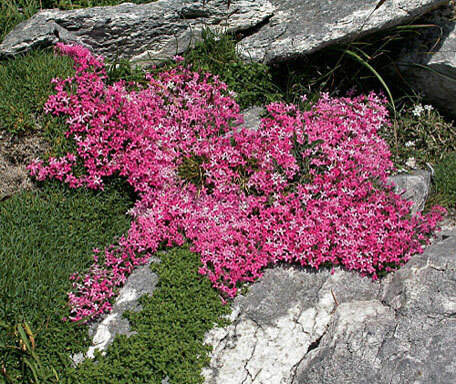 Thanks to its isolated geographical situation, it offers an ideal habitat for rare species of flowers. This approximately 22 thousand-hectare area, which was declared a national park in 1993, is now a world-class area of exploration with 880 species, 80 of which are endemic, and where flora tours are organized. Our guide will meet and welcome you at Atatürk International airport while arranging for your transfer and easy hotel check-in. Enjoy the evening over a welcome drink and group dinner. At 06:30am we depart from our hotel to board the comfortable sea bus ferry to Bandırma. We sip our morning drinks on the ferry during our pleasant 2 hour journey that takes us across the Marmara Sea. Around 12:30 pm we check-in to our comfortable, small and pretty hotel in the village of Çamlibel where we stay four nights. Here we will first relax and get ready to drive 15 minutes to the town of Edremit for lunch at the traditional Cumhuriyet lokantası before continuing on to the most authentic and colorful local market of the Aegean region. Here in the village of Havran our chef, Erhan Şeker, will introduce us to the local fresh vegetables, fruits, herbs, spices and dairy products sold by the local village women. On our return to the hotel the first cooking lesson will begin as we enjoy a talk describing Turkish cuisine. 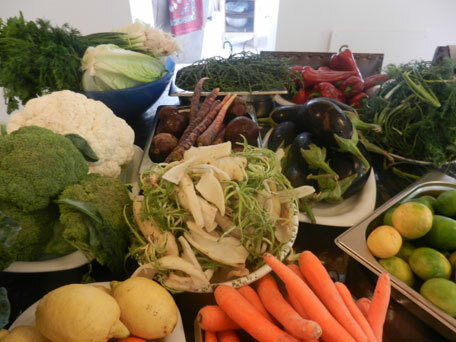 Perhaps you will prepare boar with figs and sultanes with a creamy endive and wheat soup. “Bon appetite” or as the Turks say “afiyet olsun”. This morning we travel only 30 minutes to Zeytinli (17 km) to approach the southern slopes of Mt.Ida, as it rises steeply from the Aegean. After 20 minutes we reach the Yaylalı meadows at an altitude of 850 m and then we proceed to the altitude of 1350 m to the Kapıdağ kulesi. The lower meadows will provide plenty of colour with the brilliant red poppies and yellow pea flowers. Other species, like the wild orchids can be found almost anywhere and at various levels as we climb the mountain. Here we find the tall, elegant Cephalanthera epipactoides at lower levels and possibly Orchis tridentata and Orchis anatolica higher up the mountain. 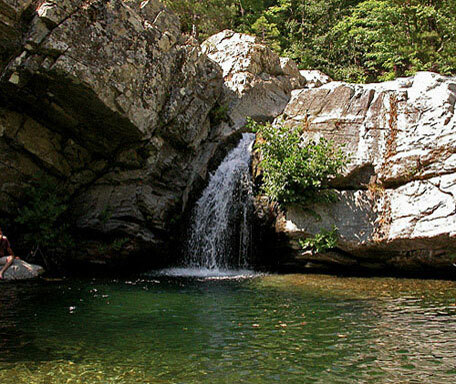 The trekking route today is between Tozlu and Karanlıkdere. The beautiful Judas Tree, Cercis siliquastrum, covers itself with blood red flowers in spring making itself very conspicuous and easy to admire along the way. Amongst the Pinus brutia forest, we can search for the purple limodore orchid, Limodorum abortivum, and look in the higher meadows for Fritillaria bithynia and Dianthus arapidinous. We return to our hotel with a good appetite from the mountain air for our second cooking lesson. The route: Tozlu-Sarıkız, Kaz avlusu, Karataş Tepe- Gargaros Tepe (Summits). Another feast of flowers awaits us, particularly some of the endemic species. The local foxglove, Digitalis trojana is one that might be seen or the fir tree Abies normanniana ssp equi-trojana. There are some fascinating members of the onion family around but none more than the tall Nectaroscordum bulgaricum. On our way back we visit the traditional family run olive oil gallery. Our last cooking lesson will end the day. This morning after breakfast we drive towards the northeast of the Marmara region to the foothills of Uludağ (Grand Mountain). Wherever it looks good for finding flowers along the way, we shall stop for a quick foray. Sometimes we find unexpected treats like the purple loosestrife, Lysimachia atropurpurea, or even a dactylorhiza orchid. Don’t forget to bring your bathing suits, where you will enjoy the traditional, Turkish hamam and spa experience during your stay in Bursa! 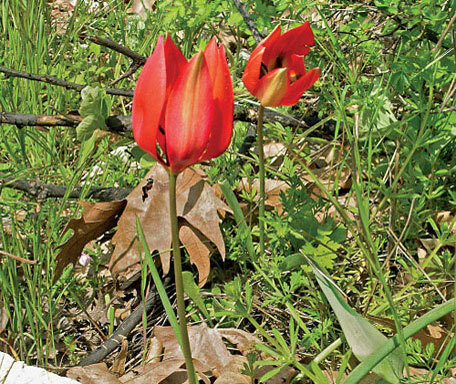 Uludağ is another area famous for its flowers. Alpine enthusiasts will delight in finding Saxifraga sempervivum, and Saxifraga siberica in the wild as well as colourful Anemone blanda and Aubreta olympica. Amongst the orchid flora are a couple of species to look out for, Epipactis bithynicum and Dactylorhiza nieschalkiorum. There are many more flowers to see from gentians, crocus, veronicas and verbascums as we wander this beautiful mountain on our final day. This morning we visit the Karaca Arboretium in Yalova before we take the ferry back to Istanbul. After breakfast participants are transferred to the Atatürk International airport to meet their return flights. Accommodation and meals as indicated in itinerary (B=Breakfast, L= Lunch, D=Dinner). 3 cooking lessons with ingredients included. The lessons are led by the chef of the Zeytinbagı hotel, a well-known master in his field in Turkey; several articles have been published about him in the major Turkish newspapers. Personal expenses such as laundry; communication charges; beverages etc.